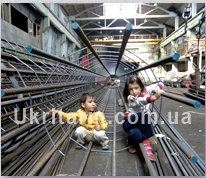 Manufacture of reinforcement structures in Kiev - "Ukritarm" Ltd.
For more than one decade, the Ukrainian market has been functioning «Ukritarm» which is engaged in the production and supply of elements for the reinforcement of reinforced concrete structures, namely: – construction staples, forged products, reinforcing cages etc. Our company keeps pace with the times and technological progress, using in their work only the best and latest equipment from world leading manufacturers. That's why we can boast some advantages over other companies. Our company can be proud of its high performance, because it is based on innovative equipment, and this provides an accurate geometry of the elements. Our products show high performance and reliability in operation, and our main advantage is affordable prices. Agree, this nuance plays an important role in the selection of equipment. 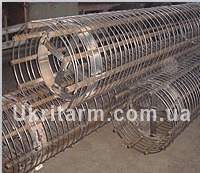 Our company produces a wide range of metal sectional products and reinforcing cages, this is – all kinds of gates and swing gates different shapes and sizes, sectional fences and grates, which are manufactured according to international quality standards in innovative equipment. The production process covers all the necessary stages of product creation (stamping, forging, casting, welding, etc.). This ultimately ensures the correct geometry of the finished product, the ability to create the required shape. In the process of production, our enterprise uses only the best and proven materials not only from domestic but also from foreign manufacturing plants. This ensures the reliability and safety of the structures. A variety of steel and profile blanks are used. Welding works involve the use of special semi-automatic machines. In addition, the painting process involves immersing the finished product in the desired solution. Structurally sectional enclosures can be manufactured in different sizes and shapes. The production process involves the use of handpieces and forged elements of its own production. Locks and hinges are supplied to us by foreign manufacturers. Why do customers choose Ukritarm? Because we - is the quality, availability and reliability!